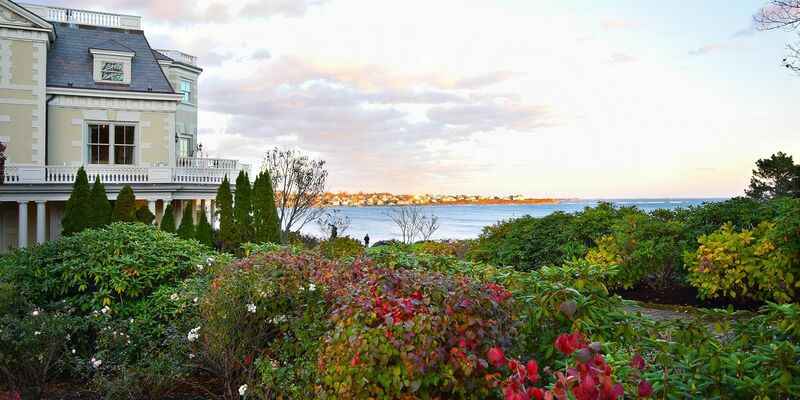 Get answers to frequently-asked questions from The Chanler at Cliff Walk, the best in Newport, Rhode Island accommodations. How many rooms total are there on property? The Chanler has 20 guest rooms. Each room is individually decorated to represent different historical themes and designs. The hotel check-in time is 3:00 pm. The hotel check-out time is 11:00 am. For reservations from October 1 to May 14: Any cancellations received within 14 days of arrival, no shows, or early departures are subject to a fee equal to the amount of the deposit required at the time of booking. Any cancellation from time of booking up to 14 days prior to arrival will result in a full refund of the deposit, minus a $50 administrative fee. For reservations from May 15 to September 30: Any cancellations received within 30 days of arrival, no shows, or early departures are subject to a fee equal to the amount of the deposit required at the time of booking. Any cancellation from the time of booking up to 30 days prior to arrival will result in a full refund of the deposit, minus a $50 administrative fee. Yes. Children are welcome at The Chanler. What is the hotel pet policy? Pets are not permitted. We are happy to recommend a local, pet-friendly hotel. Is the hotel smoke free? The Chanler is 100% smoke free. A $250 cleaning fee will be charged should smoking occur inside the guest room. What is the age requirement for check-in? The minimum age to check-in at The Chanler is 21 years old. A rollaway bed can be added in your guest room at a cost of $50 per stay. The Chanler will begin serving brunch on Sundays this Summer. Are your restaurants open to the public? Yes, The Chanler’s two on-site restaurants, Cara and The Café are open to the public. Cara is open daily beginning Memorial Day, but is closed on Monday evenings from late fall until late spring. Dinner: Daily, 6:00 pm - 9:00 pm. The Café is open daily for lunch and dinner to the public. Outdoor seating on the Terrace is available beginning Memorial Day weekend. Is parking free? Do you have valet? On-site parking in Newport, Rhode Island is free for our guests. Our team of valets will park your car upon arrival. Breakfast is not included in the room rate. You can choose one of two options each morning: a la carte breakfast in The Cafe or room service. Do you have a pool or spa on property? The Chanler can arrange for an Aromatherapy Bath or an in-room massage from Spa Voyage for an additional fee. The Chanler is also a proud supporter of local businesses and recommends The Bodhi Spa in Newport. How far away is downtown Newport? Downtown Newport is around 1 mile from The Chanler. Many Newport attractions are within walking distance of the hotel, like the famous Newport Mansions — just a 20-minute walk away or 1-1.5 miles away. The Audrain Auto Museum and the International Tennis Hall of Fame are a 10 to 15 minute walk or 0.5 miles away from The Chanler. Our complimentary house car service is available on a first come, first serve basis to take you to downtown Newport. The Chanler is just a quick 5 to 10 minute drive away from many of Newport’s main attractions. Do you have direct access to Cliff Walk and the beach? Both The Cliff Walk and Easton’s Beach are located just steps away from The Chanler. Both are free and accessible for all guests of The Chanler.